Today, David McGuinty, Member of Parliament for Ottawa South, on behalf of the Honourable Navdeep Bains, Minister of Innovation, Science and Economic Development and Minister responsible for FedDev Ontario, announced funding of up to $525,000 in The Hotel Communication Network Inc. (HCN). Businesses need the right resources to further develop and bring their innovative products to market. The Government of Canada is proud to support this Ottawa-area company to further develop its technology for hotels to automate and enhance how guests access information, services and entertainment from their hotel suites using in-room tablets. The repayable contribution, through FedDev Ontario’s Investing in Business Innovation initiative, will allow HCN to increase sales, both in Canada and globally, and to strengthen the information and communications technology (ICT) sector in the Ottawa region. The Hotel Communication Network Inc., established in 2008, is expected to create 20 full-time jobs and maintain 16 jobs over the course of this project. 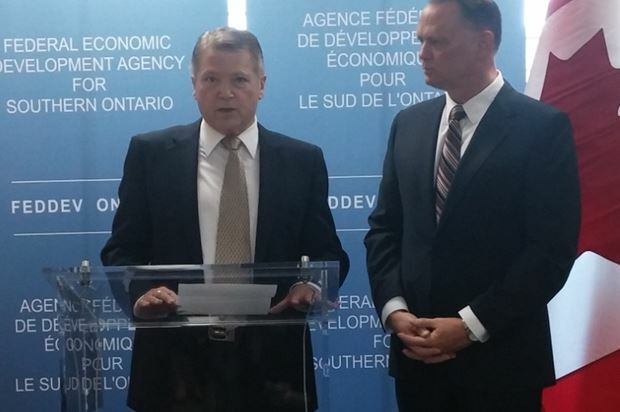 FedDev Ontario’s funding will also leverage up to $1.05 million from members of the Angel One Network. HCN will increase its sales and marketing activities throughout North America, targeting three major hotel markets: San Francisco, New Orleans and Chicago. – Kevin Bidner, CEO, The Hotel Communication Network Inc.